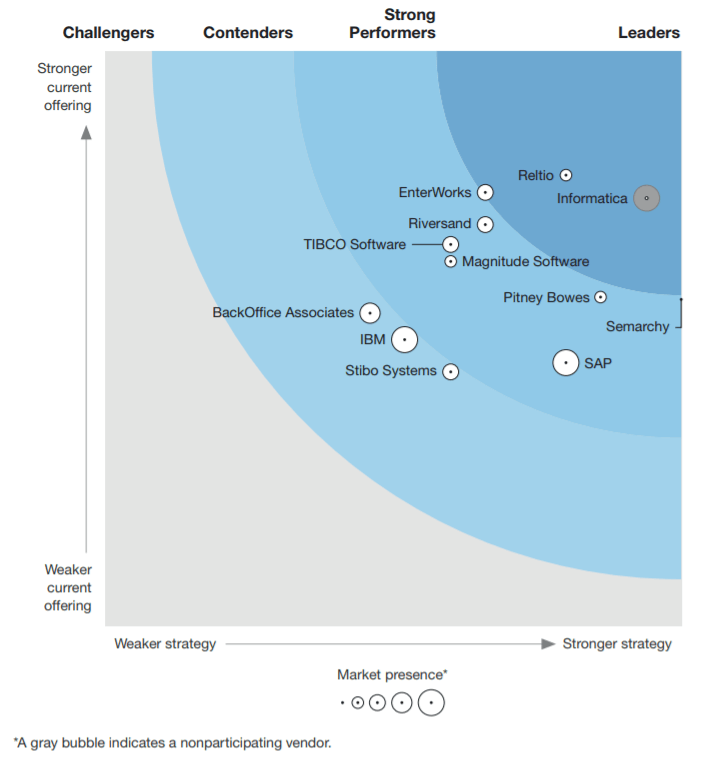 Riversand is proud to announce that Forrester, an independent research firm, rated its software platform as a Strong Performer in The Forrester Wave™: Master Data Management, Q1 2019. Please enjoy your complimentary copy of The Forrester Wave™: Master Data Management, Q1 2019 and let us know if we can help you drive value to your organization. Learn more about Riversand’s MDM Solution.